Hello. Happy Sunday morning to you all. I am not drinking coffee, but Sunday morning water doesn't have a good ring to it, am I right? This week was a good one. Work is continuing to go well, and we had more fall athletes move in on Thursday - awesome! The campus is buzzing with activity again, and I love it! 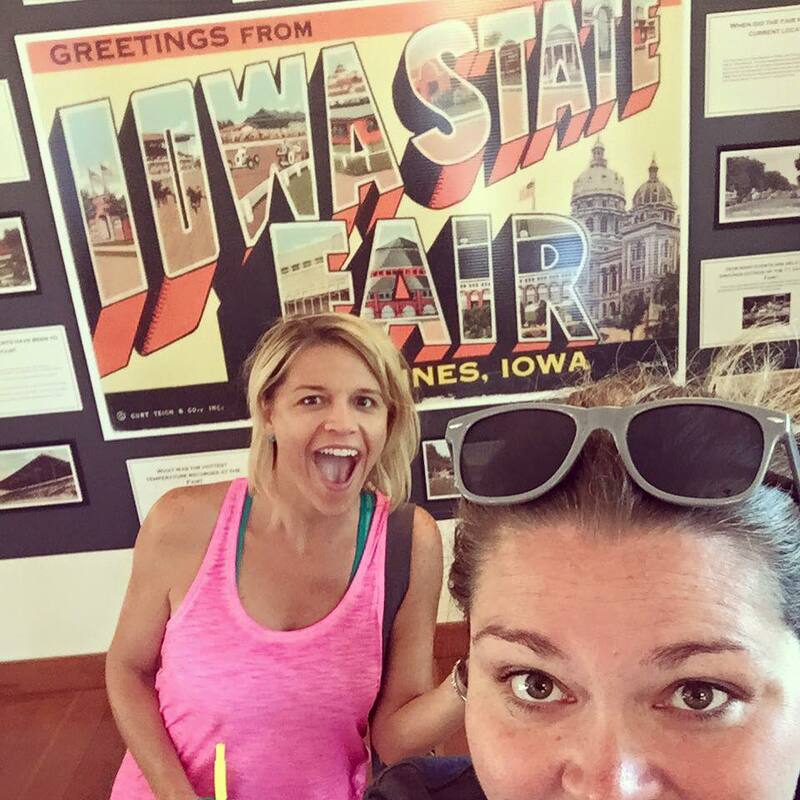 I took Friday off and Missy and I went to Des Moines for our annual State Fair trip. I think this is our 4th year...or maybe 5th year....I lose count. Anyway, I might say this every year, but I think it was the best one yet! 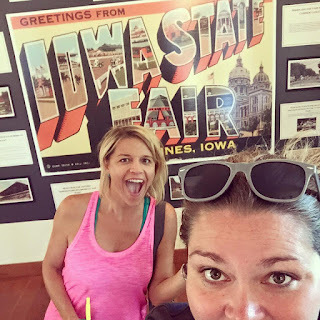 We checked out everything the fair had to offer, met up with her brother and his family, ate a ton of awesome terrible-for-us food, and then caught Andy Grammar in the grandstand. We stayed in Des Moines that night and woke up the next morning to run the Fairgrounds 5k. They sent us a ticket with our race information, which we used on Friday....but we were supposed to use it on Saturday to get into the fair to run the race. Annoying. I was not willing to spend $11 to get in the gate to run for a half hour, so Miss and I just ran around the neighborhood instead. We ended up running more than three miles anyway, and it was a lot more fun. And we had such a great day at the fair the day before, I wouldn't change it for anything! 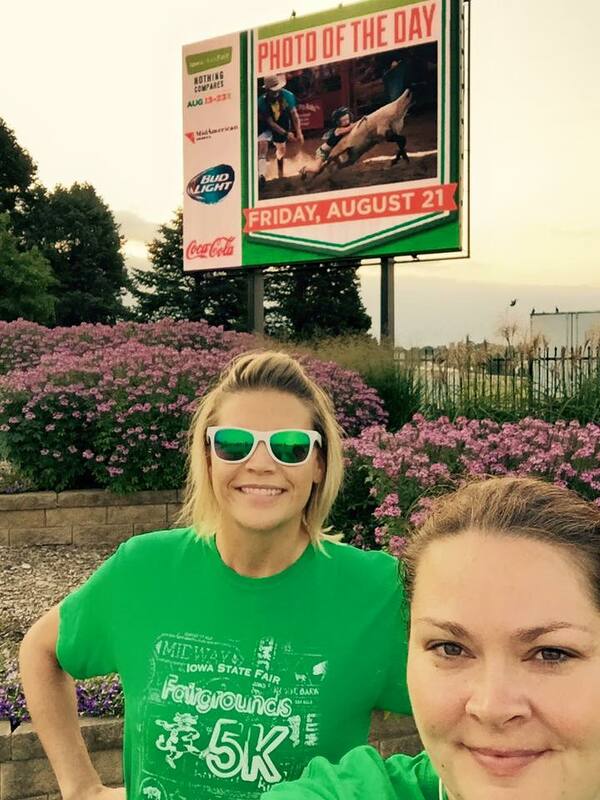 We posed with the Iowa State fair sign as we ran by - since we were denied entry into the fairgrounds. Let's see...what else happened this week...Zach and I went and saw The Gift on Tuesday night, which was creepy but not scary. Does that make sense? Also, I am finally recovered from finding out who A is. And Chandler started cussing like a sailor and Nick is blaming me. But it was not me. I blame Hannah. Alright - I'm meeting 2.0 for an afternoon of shopping. Bye!